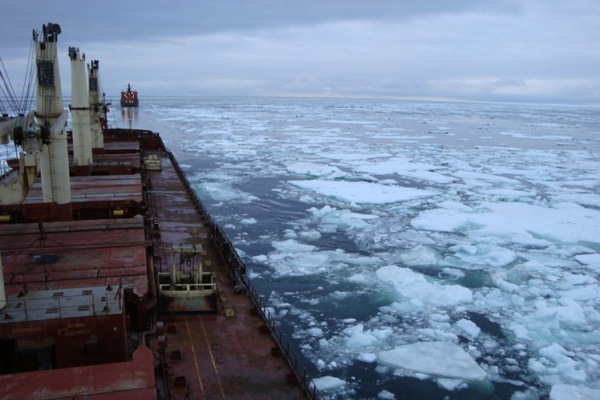 The Russian Arctic Mining Company (AGK) and the Norwegian shipping company Nordic Bulk agreed to cooperate in the development of the Northern Sea Route. The corresponding protocol was signed by the General Director of Arctic Mining Company Vadim Bugaev and Managing Director of Nordic Bulk Mads Boye Petersen within the framework of the International Arctic Forum “The Arctic – Territory of Dialogue”. According to the document, as part of the development of the Northern Sea Route, the cargo transportation from the Taymyr Peninsula should grow to 30 million tons per year. Under the agreement, Arctic Mining Company will use Nordic Bulk’s Panamax ships with a deadweight of 76,000 DWT. To service ships of this capacity, AGC plans to expand the port of Chaika, which is currently under construction. After that, the vessels of the Norwegian company will be replaced by the ships Bothnia and Barents, which in turn will be used for the mandating of the first batches of anthracite mined by the Arctic Mining Company in Taymyr. “We will increase cooperation with Nordic Bulk, which will help to increase the cargo turnover of the Northern Sea Route”, said the General Director of Arctic Mining Company, Vadim Bugaev, after signing the document. The Russian Arctic Mining Company also added that the agreement implies joint implementation of orders, construction, financing and fleet management. Vostokugol, under which management is Arctic Mining Company (AGK), is implementing a project for the development of the Taymyr coal basin, which includes the development of deposits and the construction of deep sea ports. The construction of the port Chaika in the western part of Taymyr is already underway and “apsibgidrostroy Trust is the general contractor for the design and construction of hydraulic structures. The port’s capacity will exceed 10 million tons of coal per year and will operate year-round. These Honduras Hamster Balls will Leave You Laughing Out Loud!